The Fan-Back Chair offers ultimate versatility. This outdoor chair is perfect for the garden, backyard or front porch. 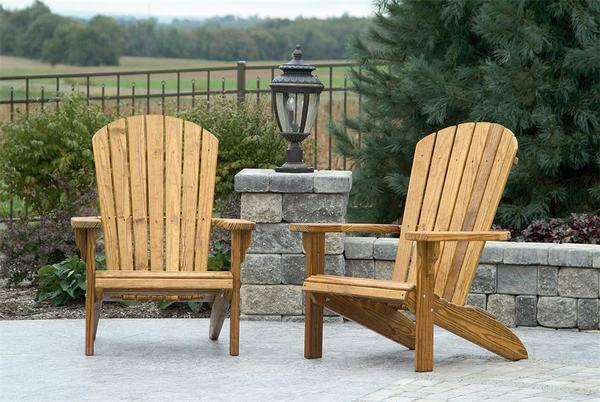 Amish handcrafted from solid pine wood this outdoor chair will add some character to your outdoor space. Pair this chair with complementary fan back style pieces or go with a more eclectic mix of outdoor furniture. Need help deciding on which outdoor furniture pieces to go with? We have knowledgable and helpful sales associates to assist you step by step. Call us today at 1-866-272-6773 to mix and match our Amish furniture.